There are many similarities between a scuba dive, swim, and Key West Snorkeling. All involve water and can be the source of many great family memories. Perhaps the most important thing they have in common is that taking the proper precautions will ensure the enjoyment you'll have. Careless safety measures and precautions can potentially turn any vacation into a complete disaster. Here at Reef Raiders, we want to make sure your family vacation in sunny Key West is both safe and unique. Whether you scuba dive Key West, snorkel in Key West, or just want to relax with a little swim, there are many things you should know. Here are things to keep in mind when booking any marine experience. When you scuba dive Key West, you are in for a real adventure. As the undersea world opens itself to you, you'll be met with sights you could never imagine. The waters just off the coast are filled with exotic fish, plants, and one of the largest living reefs in the world. 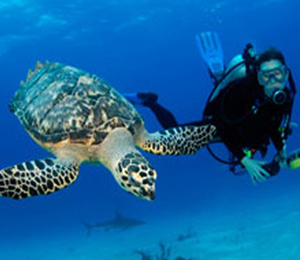 To scuba dive Key West is to truly see Key West. 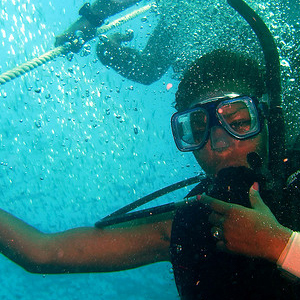 In order to scuba dive Key West, you must be certified. There is no getting around it. But don't panic, you can still enjoy the thrill of scuba diving in beautiful Key West. Why not go ahead and get certified? 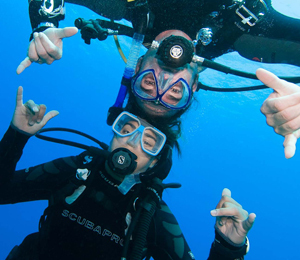 At Reef Raiders, we offer scuba dive certification courses that will teach you everything you need to know to be safe and sound under the sea. Our courses range from a full certification to a refresher and everything in between. 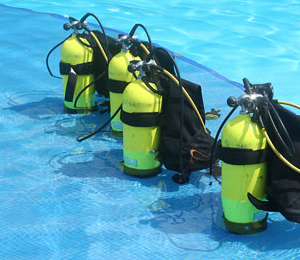 Our instructors will have you ready to scuba dive Key West in no time. If you can swim, you can go snorkeling in Key West. Because there are no courses to take and no certifications to acquire, going out for a snorkel in Key West is an activity loved by families and vacationers all over the island. But it is always good to know the rules and proper safety precautions before you take this all ages plunge. Our team of snorkel instructors can show you how the right safety measures can help you more completely enjoy every snorkel in Key West. At Reef Raiders, we work with children and adults alike. Regardless of your age, we can show you a good time every time you snorkel in Key West. For the vacationer that just wants to get some rays while the rest of the family goes for a snorkel in Key West, there is always room on the glass bottomed boat. As the ship cruises through the water, you will be treated to a real show just beneath your feet. You can glimpse at all sorts of fish, sea life, and even dolphins from the comfort of a dry boat and a cushioned chair.